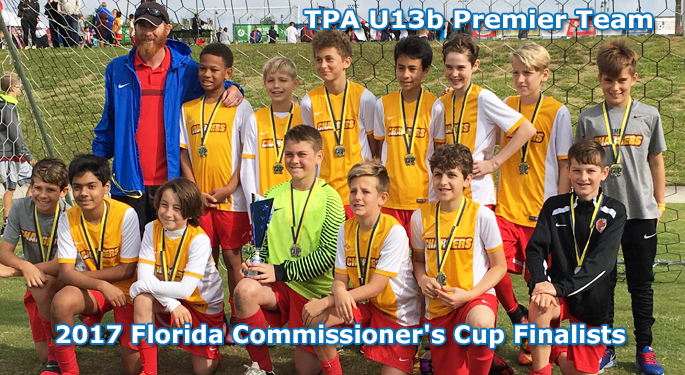 Congratulations to the U13 Tampa Chargers, led by Coach Kyle McLeish for an impressive Runner-Up Finalist finish to the 2017 Regions C Commissioners Cup. The team posted an outstanding tournament record of 6-1-1, losing to Manasota in the Finals. Congratulations, boys! !